Keeping the peace has never been cuter. 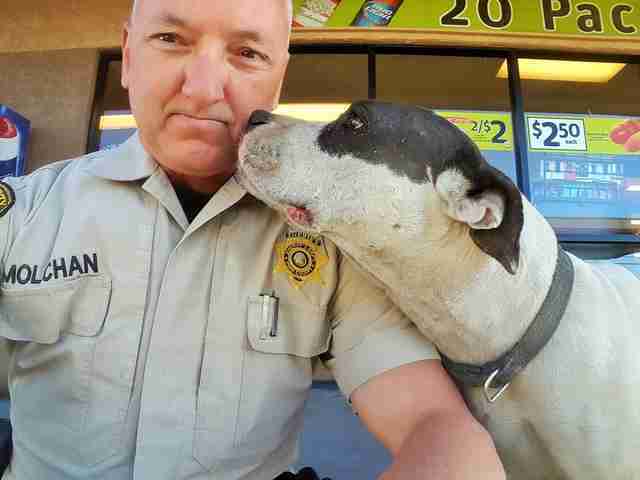 On Sunday, Deputy Donald Molchan of the Pima County Sheriff's Department in Arizona was called upon to help a dog in distress. The poor pup had been spotted wandering around outside a gas station with no owner in sight, looking rather lonely and confused. But things were about to get a whole lot better. Although the mysterious dog's muscular pit bull-type appearance would have made some people wary of offering him help, Molchan stepped in anyway - and it's a good thing that he did. The pair hit it off immediately. 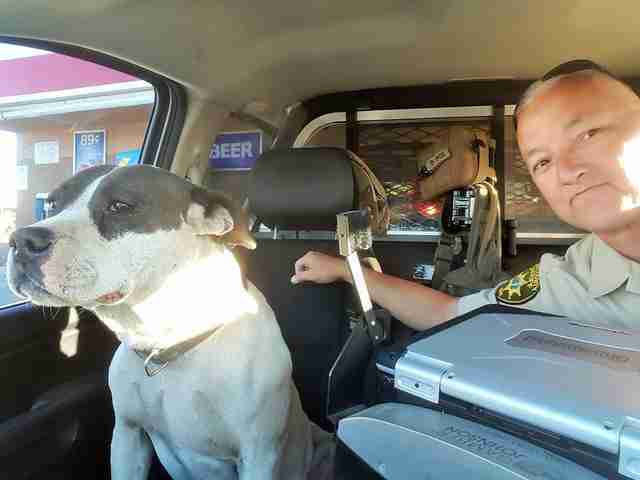 "It became clear almost immediately that the dog was just a big friendly pup looking for his home," the sheriff's office wrote online. "Deputy Molchan described the dog as super friendly, playful and comfortable around people." 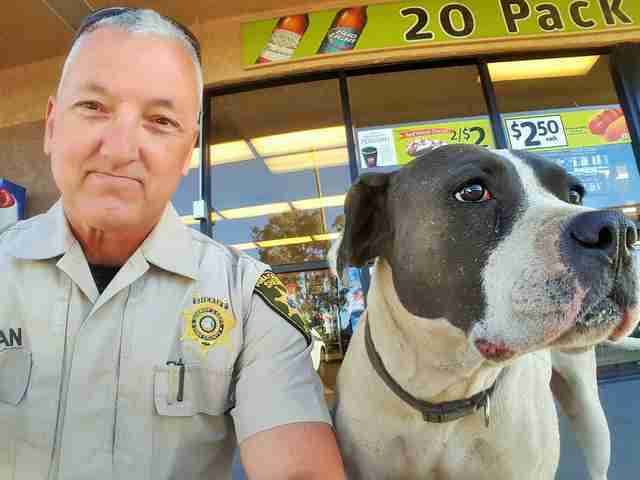 To commemorate their newfound friendship, the deputy and dog stopped to snap some of the sweetest seflies we've ever seen. Molchan then gave the dog some water and had him hop inside his patrol car to give him a lift to the Pima Animal Care Center - but not before taking one more selfie. While all those photos serve as great mementos for Molchan, they're doing much more than that. Since being posted on Facebook, they've been shared dozens of times - increasing the likelihood that this dog will find his way home. 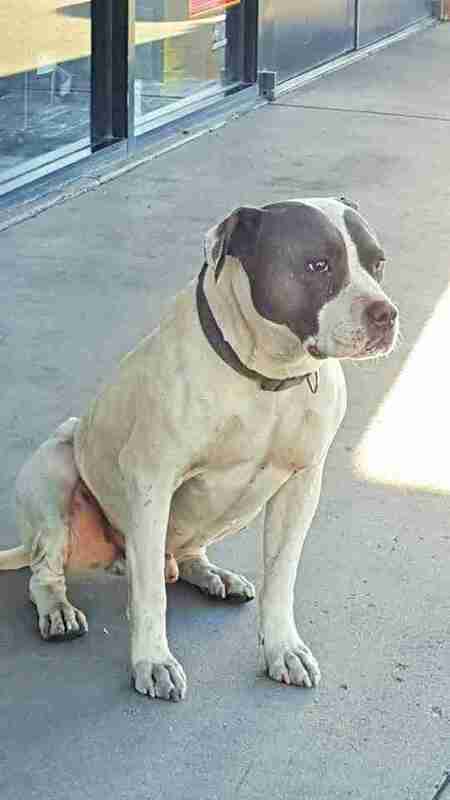 Folks in the Tucson area who can help reunite this dog with his owners are encouraged to call the Pima Animal Care Center at (520)724-5900. To keep up to date should he be available for adoption, follow their Facebook page.